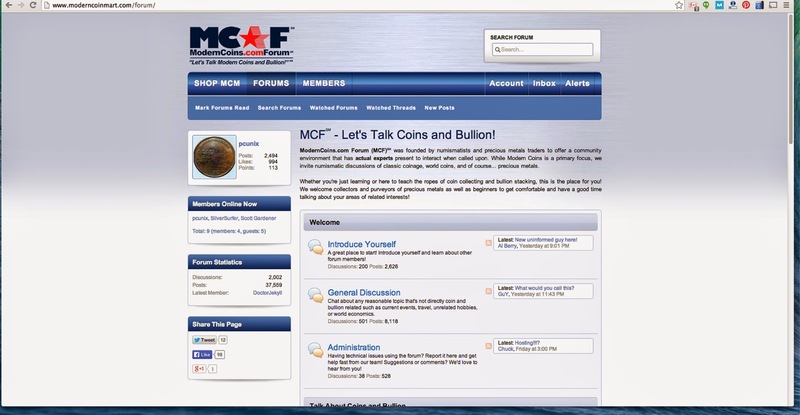 Coin related forums are a great way for you to find other coin collectors to talk to and to learn from. There are a great many of these to choose from, but I'm only going to look at a few here. 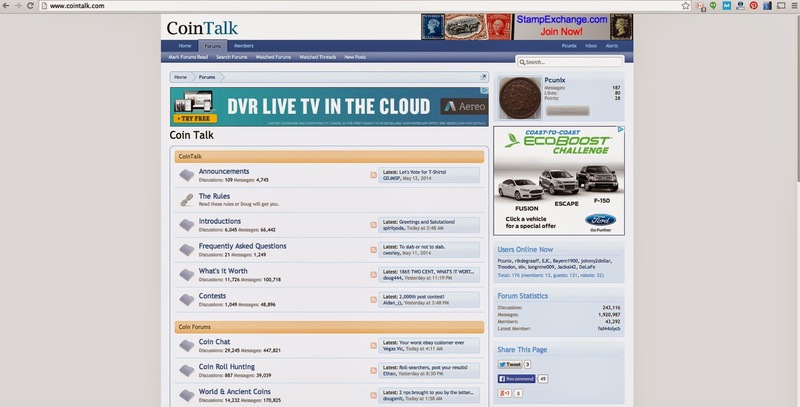 This was the first forum I joined after I returned to coin collecting. 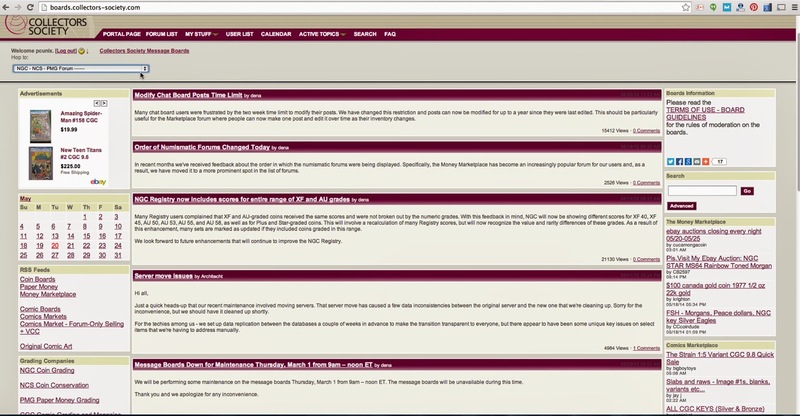 It's a very active forum, though the software is outdated and very clumsy to use. Many dealers and advanced collectors can be found here. You can get a lot of help here and learn from very knowledgable people. For example, I was able to get authoritative answers on an obscure token in just minutes. On the other hand, this can be a rough and tumble place. Arguments break out frequently and criticism can be harsh and very personal. I feel that the value of the knowledge there far outweighs that and the clunky software. 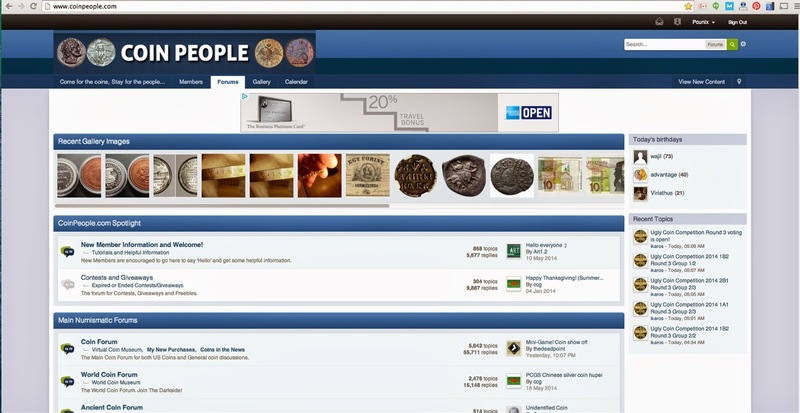 This forum covers both coins and raw bullion. 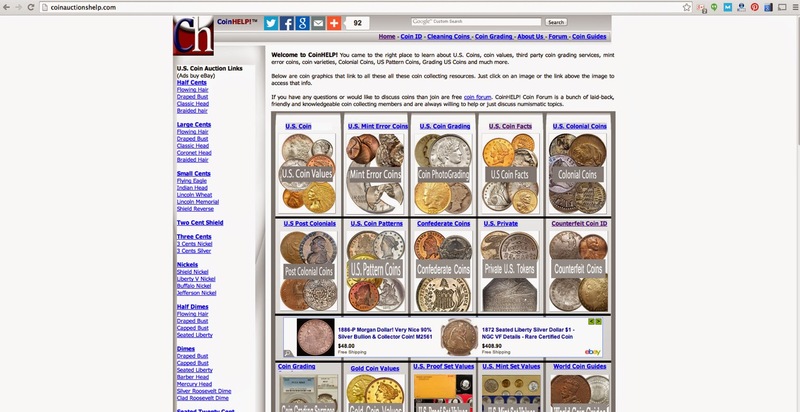 It is much more active in the bullion and rounds areas than in coin collecting issues, but there are a few true numismatists posting there, so you can find interesting discussions. This does not have the broad range of expertise found at Collectors Universe, but it is an active forum with many posts daily. The software is modern and easy to use. What I particularly like about MCF is the friendly nature of the posters. Of course there can be squabbles, but overall this is a much friendlier place than most. Also unusual is that owners and staff of the parent company regularly participate in the forum, answering questions and contributing new content. Postscript: Metal stackers tend toward the right wing conservative side. I got tired of the constant Obama bashing and more. The forum does have a rule against political diatribe, but when I asked them to enforce it, they refused. I then asked that my account be deleted. Another very active forum. The level of numismatic knowledge is spotty, with many naive posts of the "What is this worth" nature, complete with a fuzzy picture of a dateless buffalo nickel. The software is modern and easy to use. However, if you can ignore that, there is value to be found here. This is a tightly controlled forum - read the rules of conduct carefully. I did not, and earned a seven day ban for a comment that wouldn't have even been noticed at most other forums. The moderators enforce the rules tightly, which has caused griping that you can easily find with a little Googling. Simply put, obey the rules and you'll have no problem. An active board with reasonably modern software. A good level of expertise and, like MCM, a general sense of friendliness missing from some other boards. The topics are tightly focused, but you can view at a higher level or drill in. Not a very active forum and uses outdated software. They do, however, have an interesting and useful "What You need to know" section which contains basic information about numismatic topics. Unfortunately, although that information can be quite good, its value is sometimes diminished by poorly formatted articles that are hard to read and references to images that do not exist. This is not a very active forum, but does seem to do more with world and ancients than with U.S. The software is better than Collectors Universe, but not on par with Coin Talk and MCM. The front page of Coin Help promises much, but the actual content is thin. Still, you might enjoy browsing through it. 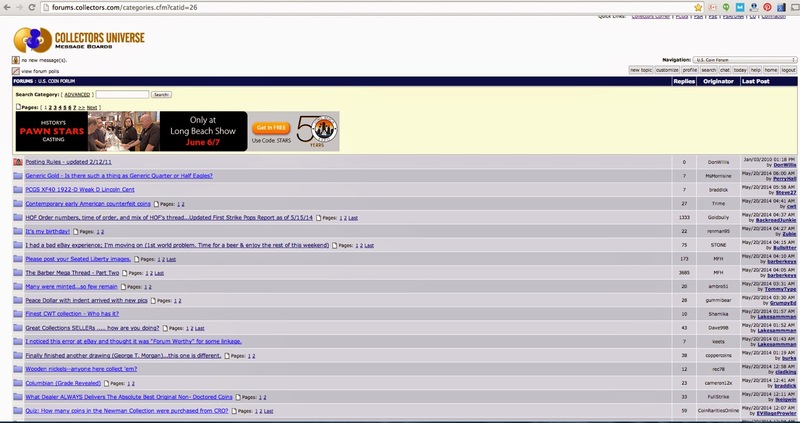 The forum section is not very active and tho software is old and clumsy. Please let me know of any forums that should be added.